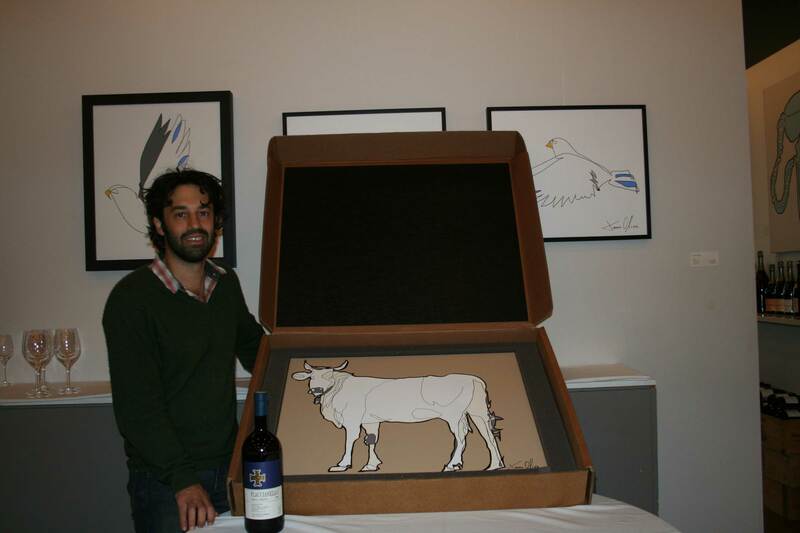 Myself with a magnum of FLaccianello and ‘Chianina’ in its bullet proof, super art shipping container prior to leaving for Italy. This painting was one of my most exciting commissions to date. 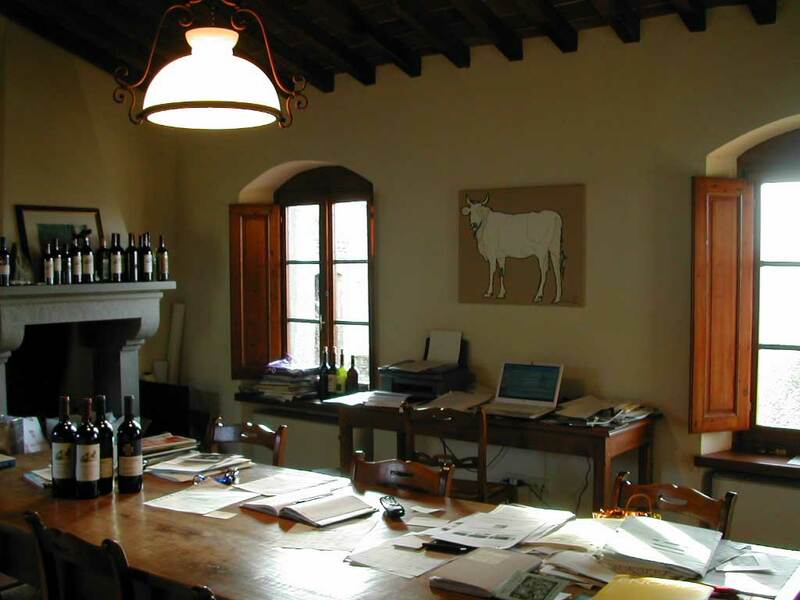 The painting was commissioned for Giovanni Manetti of one of his prized Chianina cattle to hang in his office at his Fontodi Wine Estate in Panzano just outside of Florence Italy. Giovanni Manetti is considered one of the greatest winemakers on earth. 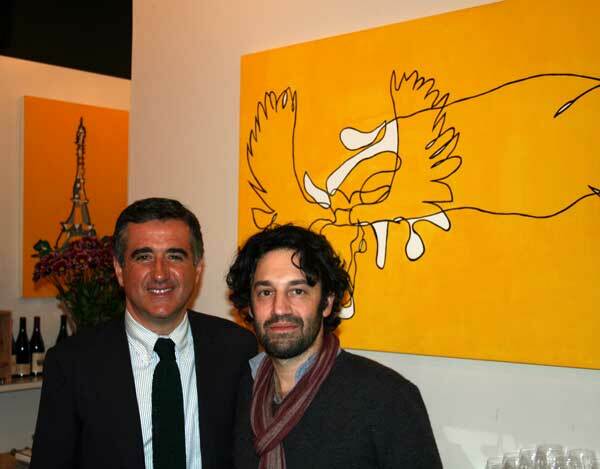 His Flaccianello della pieve (Super Tuscan) has been ranked the number eight wine in the world two years running! It goes without saying that Giovanni’s Fontodi wines are amongst my favorites now and I was lucky enough to meet Giovanni for a lunch that was hosted in his honor at New York Vintners. He loves the painting and it hangs over his desk between two windows that look out over the vineyard. I look forward to visiting Panzano, Giovanni and his family as well as ‘Chianina’ in the near future.